1. 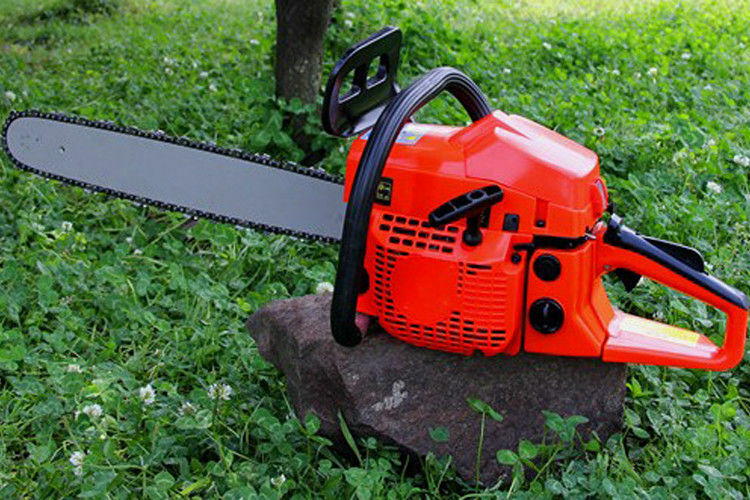 Hedge Trimmer Spare Parts Testing: We will test the spare parts quality before assembling. It includes the appearance, main spare parts performance. 2. Sample Testing: After the spare parts test, we will assemble 1-2 samples, to make the test before mass assembling. The testing includes the endurance test, to see if the machine conformed to the endurance standard. 3. 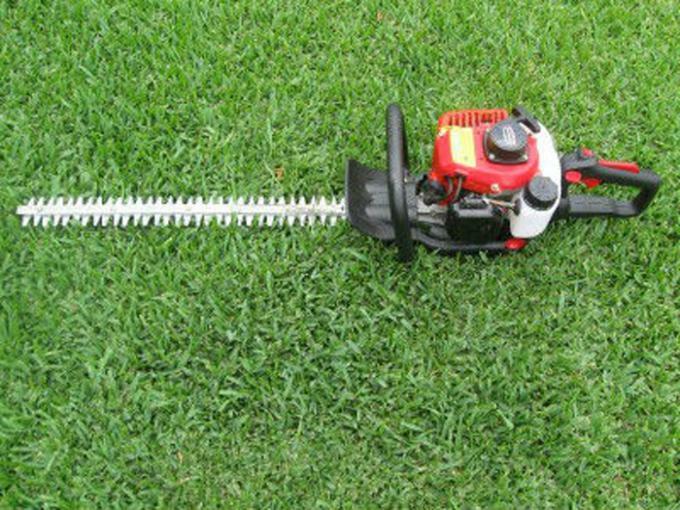 Hedge Trimmer Inspection: Our quality inspector will inspect the semi-finished product during the production. 4. Adjusting: After assembling, we will adjust the carburetor for each machine. 5. Hedge Trimmer Final Testing: re-test as step 2. We will use standard exported package if no special requirements, but it is available to provide color package according to your design or we make design using your brand basing on the quantity more than 500pcs. 7.Rapid release of equipment pull up bar and check the release is linked to the release, will be linked to place. 1. Do you provide sample? and deduct the sample fee after you place the mass order. 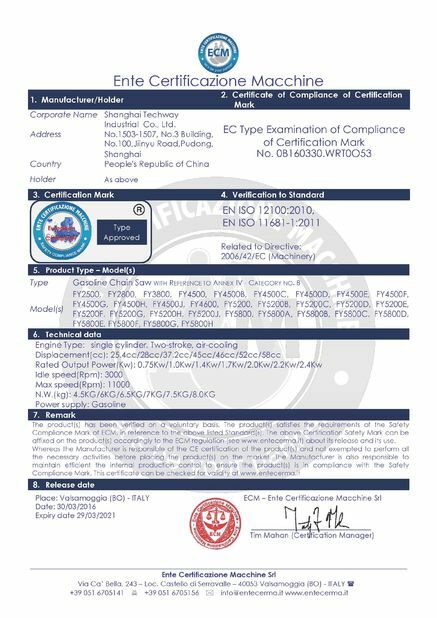 2.what‘ s the Warranty for your products? all our provide 1 year warranty. different products different MOQ, usual chain saw and brush cutter 's MOQ is 200pcs. use factory normal packing if the order quantity less than 500pcs. 6.what certification do you have ? 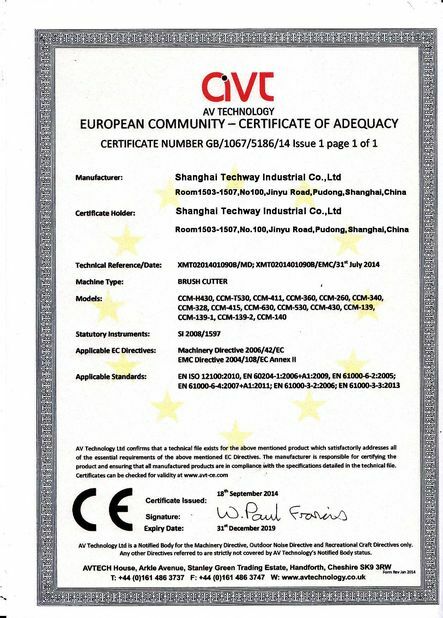 for European customer , we have CE,GS ,ERUO0-II certification.